Print & Mail "LifeStyle Newsletter"
Andy and his team at GoBig have a top-notch product and Company. I’ve toured their 25k sf Direct Mail Facility and have complete confidence in their capabilities to deliver on time and with complete profesionalism. Their team of 60+ and state of the art equipment make this one of the largest Print & Direct Mail houses on the west coast. Their”Easy to use” Web2Print user interface is sophisticated - yet simple. I encourage you to feel confident in working wih them. too busy to write a newsletter? looking for one that's customizable and extremely affordable? Each month we provide you with a new newsletter ready for PRINT & MAIL! They're complete with new liftstyle content,but you can edit & personalize them online in our design center. SET YOUR MARKETING ON AUTOPILOT! 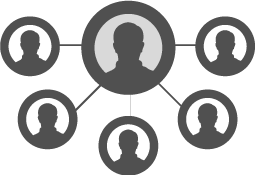 QUADRUPLE YOUR LEADS & REFERRALS! PERSONALIZE THE THEME in our easy to use "Online Designer!" Select from our ever-growing number of themes & styles to match your brand. Monthly print & mail newsletters that are informative and fun built with "Call to Actions" & Personalization. Printed & Mailed to your customers at the click of mouse! Done for you! Each month, we create a "New" Newsletter & place it online. You can customize & order on the day of your choice. Printing AND Mailing starting at just $.85each! Keep existing clients & gain new ones! When newsletters are mailed to prospects, the sender becomes the first ones they call when they are ready to hire their service! Why? - Because they kept hearing from them in a fun, non-salesy way. They didn’t keep trying to “sell” them, they just kept sending the newsletter every month – a subtle reminder that they’re always available and ready to go to work whenever they’re ready. You’ve kept them in the loop, and when they stick with you they are more likely to spend money with your business. Remember, about 80% of your revenue comes from 20% of your clients. The “80/20” rule. This expression means that when you are “Mending the Fence” you are speaking with a neighbor. Your neighbor is most likely to accept your recommendation for a service provider. You’ve validated that vendor by passing along his name. It would happen because you are constantly communicating with your customer and you were top of mind. Also, your newsletter is a physical piece, not an email. It can be shared and will most likely stick around instead of being tossed in the trash. - Or, in this case, handed to a neighbour! 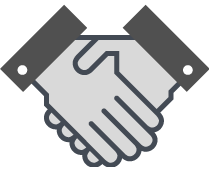 If you want to make good business, it’s important to build strong relationships among clients. And what better way to do it than through sending out engaging newsletters? Newsletters can be your way of saying “thank you” to clients or “welcome” to potential customers. Nevertheless, good relationships cannot be built overnight, that’s why it’s important to send out interesting newsletters regularly. Think about its impact for the long term. Ultimately people like to work with people they know and like. You want to be that “Guy” that does “That thing” - In other words, you want to be the “Friend in the business”. I have to tell you, you really have an impressive program. We were considering doing our Newsletters locally but not only are your prices very competitive, you make it much easier to go through the whole process. Thanks so much! We tried creating our own newsletter each month. Not only was it a nightmare, it cost a lot of time and money. Thank goodness we found GoBig Newsletter. Not only are your prices exceptional, my newsletter goes out automatically each month for me." AND... It’s pre-written so I can spend my time doing other things! GoBig Printing is the online print solution I've been waiting for! I've tried other sites with results that ranged from so-so product to failure to launch and even simply being ripped off! Not here - GoBig has a quality, working site that has delivered my newsletter on-time, as ordered, at an exceptional price. GoBig has answered every time I called with a silly question. I feel like they are my very own personal assistant! If I don't see something online that I want, they'll create it for me. I just love the personal touch! We’re only as good as our last review. If you’d like to have the last word… please take a minute and Click here! YOUR CUSTOMERS WILL LOOK FORWARD TO RECEIVING YOUR NEWSLETTER EACH MONTH! Packed with fun articles and Call To Actions to get them to call you. BUILDING RELATIONSHIPS WITHOUT SELLING ANYTHING. Simple: Newsletters are the best self promoting,referral generating marketing tool available. It's Marketing without Marketing. • Building relationships is the #1 way to gain and retain customers. • There is no better way to promote your business then to send fun, "non-salesy" newsletters. • It's more important to send "authentic" printed newsletters consistently then any other form of marketing! • Your goal should be to connect with your clients at least once a month. A good rule of thumb to remember is for every month you DON’T connect with your clients, you lose 10% of the value of your relationship. So if you let it go for 10 months, you’ve probably lost them. • We spend so much time trying to GAIN new customers, but then forget about nurturing the relationship once we have them. It’ll cost you 4-5 times as much trying to regain them or generate new clients. What makes print newsletters so special? 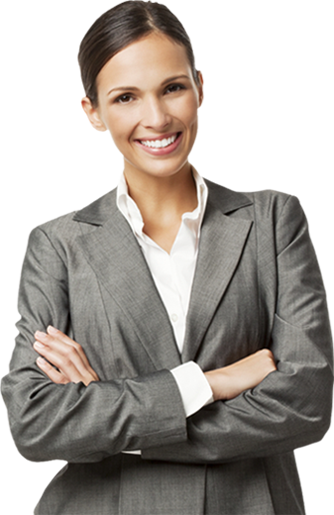 • They make it easy to build solid client relationships. • Each month you continue to “mend the fence” with your sphere of influence. • It’s a monthly reminder that keeps you in the forefront of their mind. Rentention is key. • It’s a refreshing break from the stresses of the day. They will quickly start looking forward to receiving it each month. • It’s an easy way to educate your customers without any hard sell. • It gives you a chance to ask for referrals and recognize customers who do refer you. • When newsletters are mailed to prospects, the sender becomes the first ones they call when they are ready to hire their service! Why? - Because they kept hearing from them in a fun, non-salesy way. They didn’t keep trying to “sell” them, they just kept sending the newsletter every month – a subtle reminder that they’re always available and ready to go to work whenever they’re ready. • It takes a lot of time to write and format a new Newsletter every month, and it’s not easy coming up with new and interesting topics. • Most people think they should send a Newsletter about their industry. • They are very expensive to produce. • It is time consuming to create a Newsletter, gather your Customer List and send it to a printer. The magic behind our service! • Our newsletters are NOT a bunch of boring or technical articles or other topics your clients have no interest in. Instead, it’s a fun collection of articles, puzzles, cartoons, DIY’s and contests that gets them involved in reading and sharing it, and also has direct response areas that you can customize, that will prompt them to contact you. • Our Newsletters subtly ask for referrals which is the # 1 way to retain, earn & gain new clients. • Everything is done online in one location. "I don't want to send out a generic newsletter that no one is going to read that is filled with recipes, crossword puzzles and monthly articles about “what happened in June.” - or that has content that’s not about my business. I’m a “Real Estate Agent” - I want to send out a newsletter about real estate. Or, I’m a “Home Inspector..” - I want to send out a newsletter about fixing homes ! Let me ask you this hypothetical question??? We are a printing company - what if we sent you a Newsletter each month filled with content about printing, design, resolution, pixels, type setting, color specs, production, postage requirements & paper stock - Would you read it? OR, would you chuck it? I bet you’d chuck it. "I don't want to spend my money sending out a printed Newsletter when I can just eMail it to my clients. Do you have an eMail version? Let me ask you this??? If we sent you a four page Newsletter via eMail would you spend time reading it? Would you play the crossword puzzle & read the articles? OR, would you click delete or save it for another day? (which you’d never get back to). • eMails don’t get left on the table for other people to read (and see your name). • The eMail open rate is about 10% the first hour followed by a decline all the way to 0 over a 48 hour period. • eMails aren’t tangible. People like to hold something… Just like your favorite mail order catalog. • Our Newsletters are created with the intention of being “Fun” & “Non-Salesy” with “Call to Actions,” and subtle reminders that you are in business and ready to help whenever they are ready! • A print and mail Newsletter is sticky! It may start out on your desk and end up on a table at Starbucks… eMails can’t do that. • The idea behind our our Newsletter is to build a relationship over time, consistently, whether they’re looking for what you have to offer or not. • Stop selling to people. Share with them. We get enough sales pitches already. Build your relationship by giving and informing, not selling and promoting. 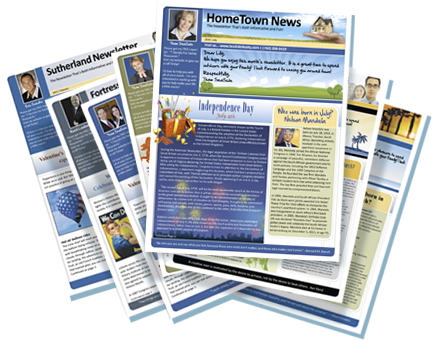 Given the overall decrease in postal mail, a print newsletter can stand out to the recipient, unlike an online e-newsletter that can get lost in an already too full in-box. Conversely, due to the continuing rise of postal costs, newsletters are more likely to be concise and targeted, providing special appeal. * Across all key verticals – from financial and insurance to retail and personal care – direct mail is preferred over email by all respondents. * The propensity for direct mail also extends to the 18-34 year old demographic. * It’s a proven way to nurture customers, members and leads. * There are no costs for distribution because you already own your customer list. * Print is enjoying resurgence because it feels new when compared to digital marketing. * The printed word is perceived to be more substantive and therefore more credible. * Print allows people to unplug from the online chatter. Its noise to signal ratio is zero, compared to the Internet. * Print is tactile, providing a deeper visceral connection to the brand. (Read Using neuroscience to understand the role of direct mail.). * For niche demographics, like seniors, print is perceived as more legitimate. * Print newsletters enjoy a longer shelf life, leading to more active engagement. * Lacks the immediacy and accessibility of other digital communication channels. * Budget and timeline may strain marketing resources. * With people moving with greater frequency, keeping your list clean may be difficult. * Cost prohibitive to publish in more than one language for most companies. Content: Your goal is to communicate to your audience on a regular basis with non-salesy, fun, interesting information. It does not have to be filled with information about your business at all. Simply suggest a few things if you wish, then direct them back to your website for more. 1. Mail your newsletter to all former customers or potential customers who have requested information on your product or service in the past but never ordered from you. Just be sure you make it easy for them to opt out. 2. Give your salespeople copies of the newsletter to hand out on sales calls, at trade shows and exhibition booths. 3. Send the newsletter to all potential clients who may have a strong interest in a solution-oriented article you published that may appeal to them. For example, if your technology solution helped a local hospital save thousands of dollars on staffing costs, send a copy of the newsletter to all the hospitals in your service area. BY SIMPLY SUBSCRIBING TO OUR MONTHLY NEWSLETTER PROGRAM,YOU AUTOMATICALLY BECOME AN AFFILIATE. Now you can order a monthly Newsletter, and share your own Newsletter Website! 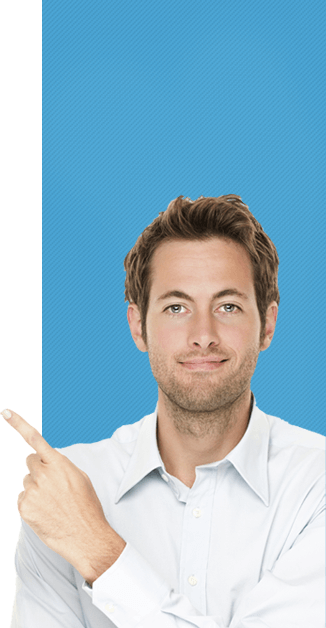 Earn a commission on all those that sign up from your website. We strongly believe that newsletters are the best way to stay in front of your customers. So much so, that we are willing to bet on it. Your subscription comes with a replicated site just like this one. 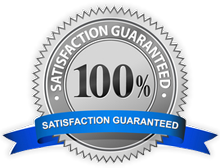 Our 100% satisfaction guarantee means you get to test drive our newsletter templates risk free for 3 days. If you're not completely satisfied with our service or product in the first 3 days we'll give you a full refund. Simply Cancel from in the back office and send an email followup to support@gobigprinting.com and we’ll refund you. Beyond the first 3 days, you can be assured there are no contracts and no commitments. You can cancel at any time. Disclaimer: Spend 3 days “test driving” our newsletter. If you cancel within the first 3 days, you will be charged nothing. After the first 3 days, your credit card will automatically be charged your monthly subscription fee, which will recur automatically after each period. This does not include printing or postage. How long does it take to setup my Newsletter? That really depends on you! Pick a theme, customize a few areas and walk away. You may want to upload your own banner? That's up to you! Are there any upfront setup costs or fees? There are no upfront setup fees. We spent 15 years developing our sophisticated system to be self-serving and highly automated. But don't worry, we're always available to help and support you! What if I get confused? Who will help me? Any of our 12 dedicated customer service reps will work with you to ensure you're getting the highest level of service possible and the results you're looking for. AND, we have "Live Chat" and answer the phone M-F 8-8 PST! Newsletters are the best self promoting, referral generating marketing tool available.